This post is sponsored by the Wisconsin Milk Marketing Board in conjunction with a social media campaign through Sunday Supper LLC. All opinions are my own. I had originally planned on sharing a crock pot mac and cheese with you today but the recipe still needs some perfecting and I kept dreaming of Chorizo Spinach Quiche and Fontina Cheese. I love Fontina's slightly nutty flavor and smooth creamy texture. While Colt and I were out shopping we spotted fresh Chorizo in the meat case and knew Fontina Chorizo Spinach Quiche had to be made. My kids usually like breakfast for breakfast and dinner for dinner. So they thought I might be losing it when they found out I had quiche planned for dinner but it was quickly devoured and I was barely able to hide the last piece for lunch the next day. Colt and the kids all requested Fontina Chorizo Spinach Quiche be added to the regular breakfast and dinner rotation so I know the combo was out of this world. First you'll need a 9" Pie Crust lined in pie pan and fluted. Using a fork poke holes all over the bottom and sides of crust. Line crust with aluminum foil pressing firmly into sides and bottom of crust to prevent shrinking. Bake in a 450 degree oven for 10 minutes until crust is set. Remove foil and bake an additional 5-7 minutes until crust is just barely browning and set. Remove and allow to cool. In a saute pan heat 1 tablespoon Olive Oil until hot over medium-high heat. Add 1/4 cup Chopped Onion and saute until starting to lightly brown. 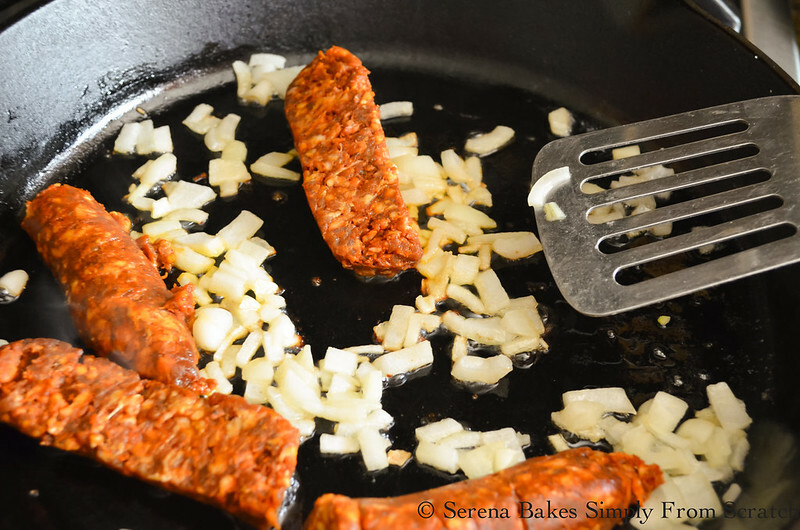 Add 1/3 pound of Fresh Chorizo removed from casing and use spatula to break into small pieces until Chorizo is cooked through. 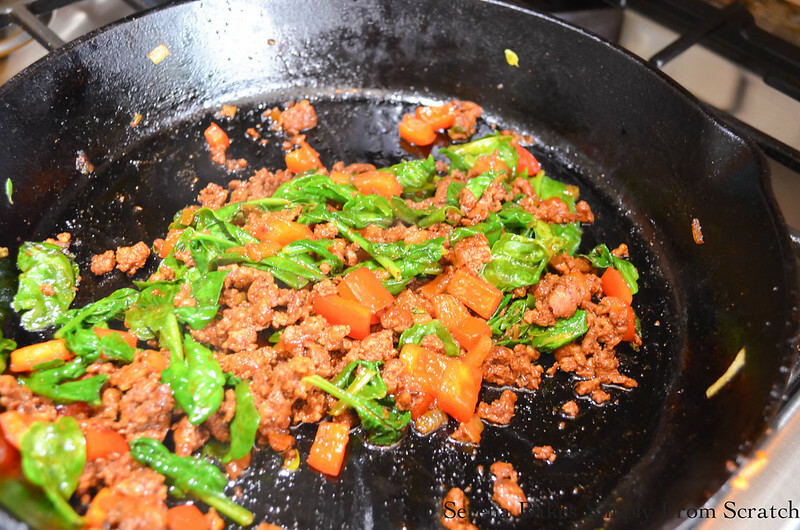 Add 1/3 cup Chopped Bell Pepper, 2 cups Fresh Baby Spinach and 1 teaspoon Thyme. Stir until Spinach is just barely wilted. Remove mixture to a paper towel to drain off excess grease and allow to cool slightly. Place half of chorizo mixture into the bottom of pie dish and cover with 3/4 cup Shredded Fontina Cheese. Cover with remaining chorizo mixture. Cover with remaining 1 1/4 cup Shredded Fontina Cheese. For this recipe I was lucky enough to find a Wisconsin Fontina Cheese that was out of this world. Wisconsin has been producing exceptional cheese for over 160 years with experience that has been passed down through the generations. Wisconsin was also the first state to grade cheese for quality and offer an advanced training program to help cheese makers become masters of the craft. I love that this means I know when I buy Wisconsin Cheese I am always receiving a high quality product. 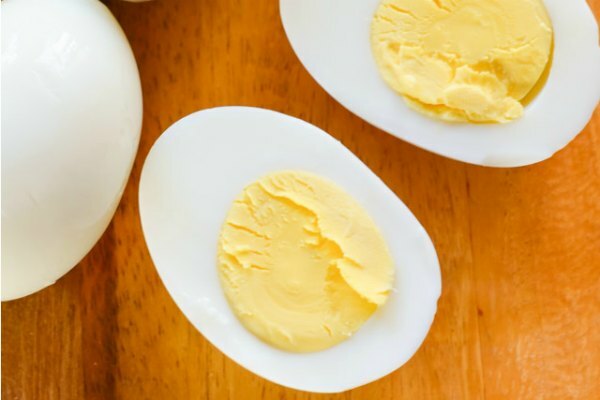 Whisk together 5 whole Eggs with a pinch of Sea Salt and 1 cup half and half until well combined. 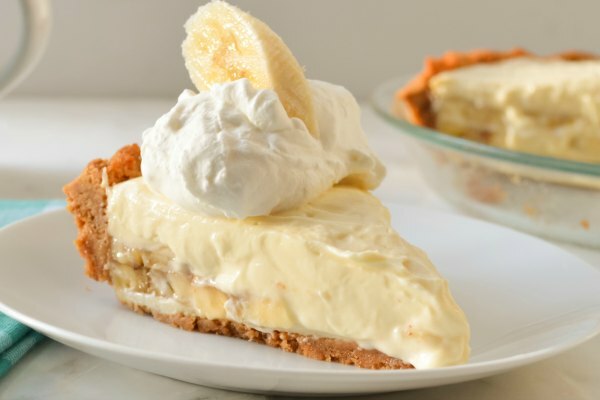 Pour Egg mixture over the top and bake in a 350 degree preheated oven for 40 minutes or until set. 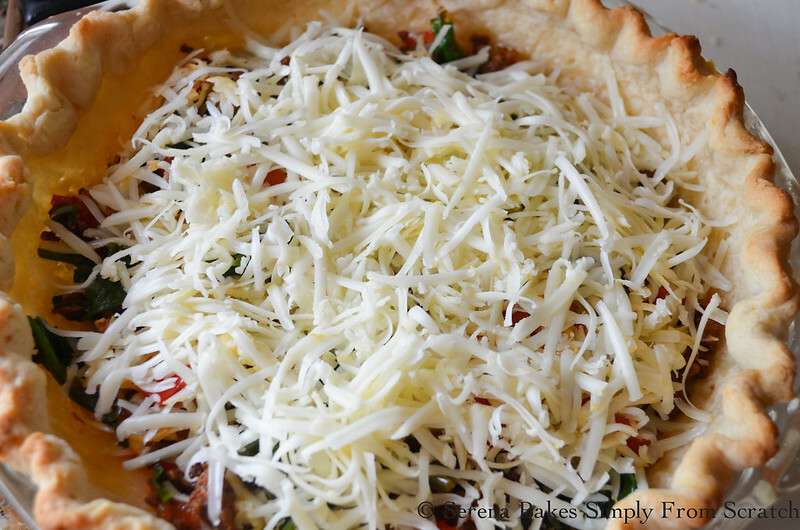 Allow Fontina Chorizo Spinach Quiche to cool for 20-30 minutes before slicing. Not only was this Quiche amazing the day it was made but it was still fabulous when I reheated it in the microwave! I promise you can't go wrong with this recipe for #SundaySupper whether it's for breakfast, brunch, lunch or dinner it won't last long! 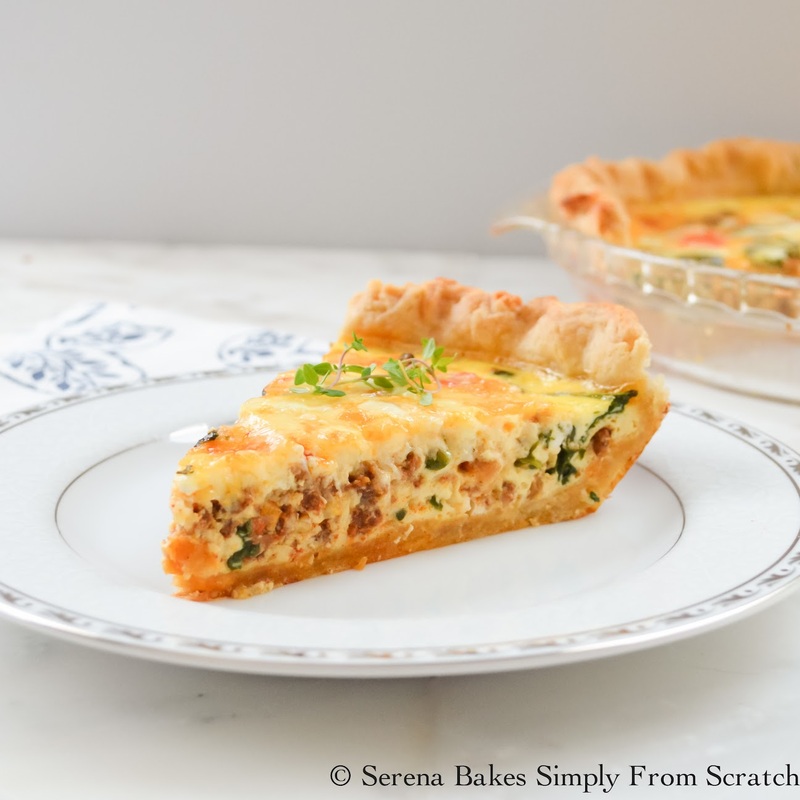 A flavorful Quiche filled with Fontina Cheese, Chorizo and Spinach sure to knock your socks off! From Serena Bakes Simply From Scratch. Place pie crust in 9" Pie Plate. Using a fork poke holes all oven the bottom and sides of pie crust. Line pie crust with aluminum foil gently pressed against sides and bottom of pie crust to prevent shrinking. Bake for 10 minutes until crust is set. Remove foil and bake an additional 5-7 minutes until barely brown and bottom of crust is set. Remove and allow to cool. In a saute pan heat olive oil over medium-high heat and add onion. Saute until onion starts to lightly brown. Add chorizo and crumble into small pieces. Cook until chorizo is cooked through. Stir in bell pepper and spinach. Cook until spinach is lightly wilted. Remove chorizo to about 3 paper towels to remove grease and cool slightly. Once chorizo mixture is no longer hot add half of mixture to baked pie crust. Cover with 3/4 cup grated Fontina Cheese and layer with remaining chorizo. Cover with remaining 1 1/4 cup Fontina Cheese. 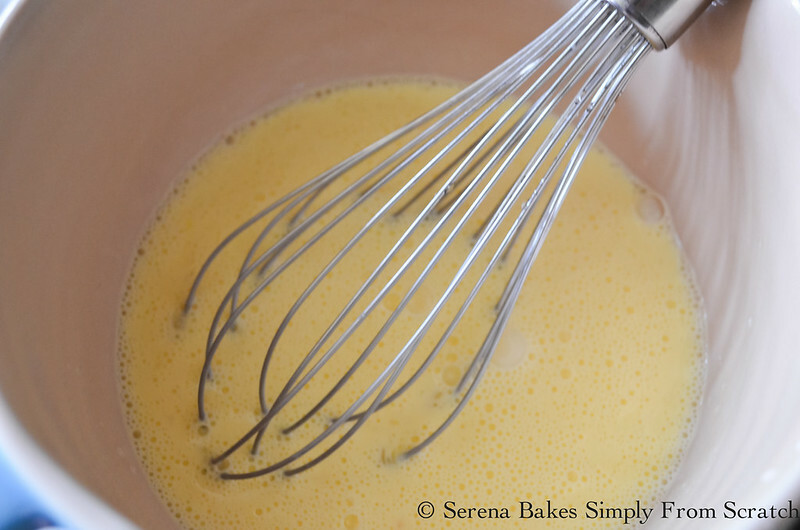 Whisk together eggs, half and half, and a generous pinch of salt, until well combined. Pour egg mixture over the top of chorizo, and bake in 350 degree preheated oven for 40 minutes until set. Allow Quiche to cool for 20-30 minutes before slicing. You can find more information on Wisconsin Cheese on their Website: http://www.eatwisconsincheese.com. Totally craving quiche now thanks to you. I am so hungry and this looks so yummy! Wow, this looks marvelous - that perfect golden cheesiness is calling out to me! This sounds incredible! Love chorizo and Fontina! Wow! What an incredible dish! I can see why this is a new family favorite! It would be a family favorite here too! 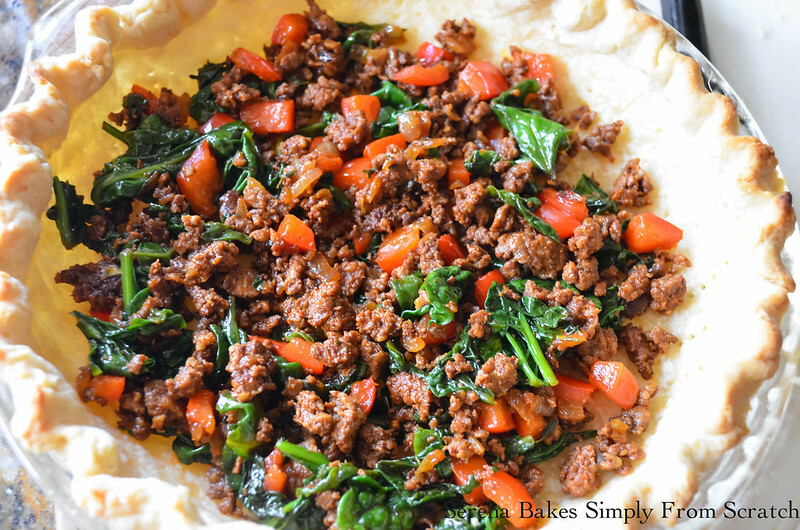 I'd love to make this with Soyrizo (a vegetarian sub for chorizo) - it looks like it would be fantastic! This would be a hit at our household as well. What a tasty quiche! 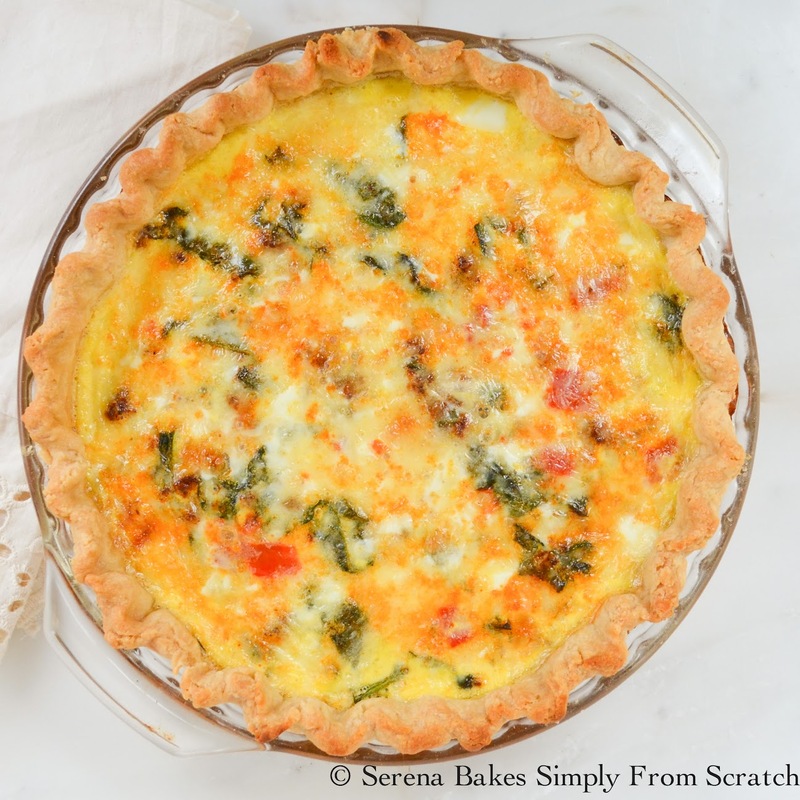 I am such a quiche girl, and I love this flavor combo! I LOVE this recipe! There are so many good things in there, I don't even know where to start! Never thought about using chorizo in a quiche. Sounds amazing!! Yum! 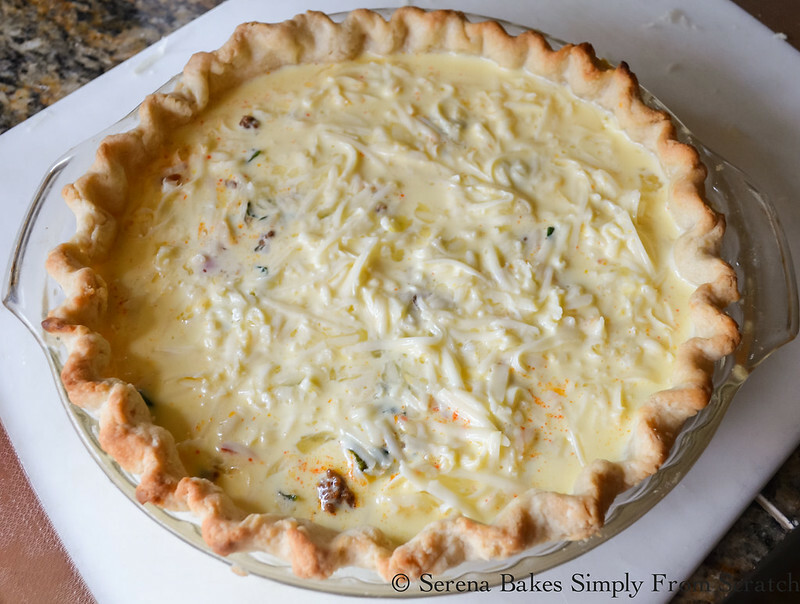 I try to keep a pie crust in the freezer to make quiche when I'm out of ideas for dinner or need to use up produce -- of course cheese is always a must! I absolutely adore chorizo and eggs together! This quiche could easily become my new favourite breakfast dish. This is totally happening at my house ASAP!! I still have some of my homemade chorizo in the freezer. YUM!!! What a great combination for a quiche and wish I could try some now! Oh this looks delicious, all the flavours I love. I use chorizo so much, never thought to add it to a quiche! I am a guy and I admit it, I like quiche. This looks great and I am sure that the fontina is the perfect balance for the chorizo. This looks very hearty and delicious. I always thought it was a great treat to get breakfast for dinner! This looks awesome, plus fontina is my favorite cheese ever so that's a win for me! I love quiche. 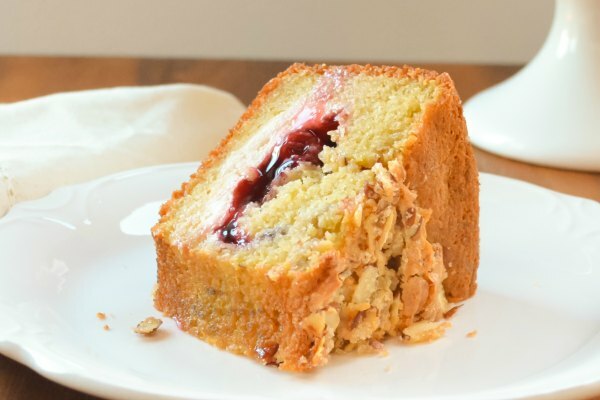 I've pinned & shared your recipe. Can't wait to try it.